Christmas OEPFC Magazine - Misc. The Christmas 2017 (November/ December) issue of the Official Elvis Presley Fanclub Magazine arrived. It has a nice overview of the X-masses Elvis enjoyed as a professional entertainer, there is a nice in memoriam for Jack Good, the TV producer who died last month. What Now, What Next, Where To is an item by Todd Slaughter the current state of Elvis' legacy (RPO slaughter, forgive me the pun) and where we are going to (holograms?). Always fun to speculate with a glass of wine, isn't it? 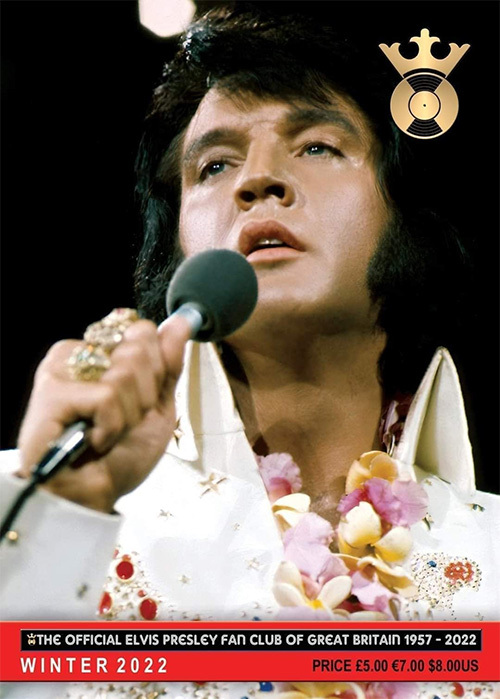 Furthermore there are articles on the why Elvis didn't tour outside America, the Comeback Special and The Colonel (also with a personal note by Todd). All together a nice filler for the Sunday afternoon.